March in Chicago is so much more than just St. Patrick's Day! This month, Chicago turns 176 and the Department of Cultural Affairs and Special Events offers a new art exhibit opening at the Chicago Cultural Center, an international desert rock band concert, a series of dance performances and much more. Opening March 23 at the Chicago Cultural Center and running through June 16, "Rising Up: Hale Woodruff's Murals at Talladega College" features six monumentally-scaled murals painted in 1939-42 by African American artist Hale Woodruff. Never before seen outside of Alabama's Talladega College, the murals depict the 1839 mutiny by slaves on the Spanish ship La Amistad and its aftermath. Newly restored to their original, vibrant colors, the murals are accompanied by 30 paintings and prints that document Woodruff's work from the 1920s to the 1940s, making this exhibition a rare opportunity to see this important Harlem Renaissance artist's work in depth. "Rising Up" is organized by the High Museum of Art, Atlanta, in collaboration with Talladega College, Talladega, Alabama. This exhibition is made possible through support from the Terra Foundation for American Art. DON'T MISS: "They Seek a City: Chicago and the Art of Migration, 1910-1950," on view at The Art Institute of Chicago March 3 through June 2, which includes many of the same themes and issues explored by Hale Woodruff in "Rising Up." "Hey, Hey, the Blues is Alright!" We are celebrating the next generation of blues artists at the 30th Annual Chicago Blues Festival with a special opening night concert at the Jay Pritzker Pavilion in Millennium Park the evening of Thursday, June 6. Shemekia Copeland, crowned the "new" Queen of the Blues in 2011 by Cookie Taylor, daughter of the late Koko Taylor, will headline the evening with special guest and Buddy Guy collaborator, Quinn Sullivan. The evening will begin at 6:30 p.m. with opening act Blues Kids of America followed by Jamiah on Fire & The Red Machine. Our beautiful city doesn't look a day over 175. Come celebrate on March 4 at the Chicago History Museum (1601 N. Clark Street). Special activities are from 10 a.m. until 1 p.m. with a brief program at 11 a.m. And Illinois residents will enjoy free Museum admission all day. Eli's Cheesecake will provide the birthday cake and a free slice for everyone is available while supplies last. If you share the same birthday as Chicago, you will receive a special commemorative certificate. FLYSPACE is part of a strategic partnership of four female-led contemporary dance companies working collaboratively to enrich support for their works and audience building. The companies taking part in the series include: Hedwig Dances, Same Planet Different World, the Dance COLEctive and Zephyr. Make time in April to attend one or both of the two-weekend performance series that includes six performances presented by DCASE. The performances feature all four companies (two companies each weekend) with five World Premieres by six choreographers. All performances take place behind the glass curtain on the stage of the Jay Pritzker Pavilion in Millennium Park. Friday and Saturday, April 5-6 at 7 p.m. and Sunday, April 7 at 5 p.m.
Friday and Saturday, April 12-13 at 7 p.m. and Sunday April 14 at 5 p.m. The North African desert rock group, Terakaft, will make their Chicago debut as part of their first U.S. tour on Tuesday, March 12 at 6:30 p.m. in the Chicago Cultural Center's Preston Bradley Hall, 78 E. Washington St. For a preview, check out the video link below. We are celebrating 25 years of an iconic designer in an iconic city, Eva Pazola. The show is presented by DCASE and the Mayor's Fashion Council in Preston Bradley Hall on April 10 at 7 p.m. Pazola's twist on classic design allows women to express their identity in a fashion-forward way. The show will present pieces from her former collections, current collection, and a preview for Fall/Winter 2013! Come see the progression of Pazola's vision for fashion, and experience her designs first-hand at the pop-up boutique following the show. Choose vinyl. Off the Record listening parties continue this month, when musical artists debut their vinyl records. This month, saki (3717 W. Fullerton Ave.) hosts Low with their new record The Invisible Way, on March 7, 7-9 p.m.
Don't miss the Creative Chicago Expo this weekend, March 1 and 2 at the Chicago Cultural Center, 78 E. Washington St., 10 a.m.-4 p.m. The Expo is absolutely free and offers workshops, keynote addresses and more than 100 vendors providing resources and information to Chicago's creative community in a one-stop shopping experience.
. The application deadline will be Friday, April 19. There will be an opportunity to learn more and ask questions of the Cultural Grants Team at the Creative Chicago Expo on Friday, March 1, 12-1 p.m. at the Meet DCASE workshop in room 5W. CHICAGO (March 2013) - The Chicago French Market has a month-long agenda full of family friendly events. Visit the newest vendor, Bebe's Eatery, opening March 1, shop a variety of local artisans during Marché du Printemps, March 4 to March 29, or catch a ride on the Bunny Train, March 23. 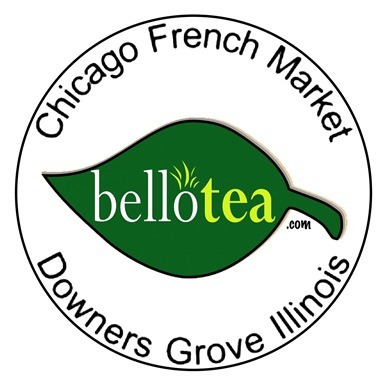 The Chicago French Market is continuing to expand its food offerings for local professionals and Chicagoland commuters. The newest addition is Bebe's Eatery, set to join the market March 1, providing a fresh and delicious kosher option for guests. Bebe's will be open for breakfast, lunch and dinner using only the freshest ingredients to create delectable sandwiches, salads, wraps, pastas and sides. Visit Bebe's in the morning for the perfect breakfast nosh of fresh baked muffins and Danishes along with the finest lox and egg bagel sandwiches. All dairy products are Cholov Yisroel while baked goods are Pareve and Yoshon and meat is Glatt Kosher. 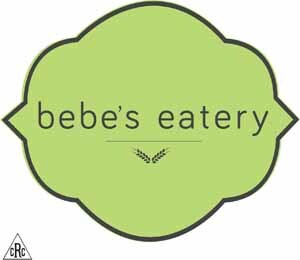 Bebe's was created as a collaborative initiative from a variety of popular suburban North Shore kosher restaurants, including: The Sandwich Club, Emma's Bagel Cafe and Srulie's Essen Delicatessen. It will offer favorites from each restaurant including the Fire Cracker Chicken Wrap, Eggel Bagel Deluxe and the popular Schnitzel Pastrami Sandwich. Bebe's Eatery will operate under the supervision of the Chicago Rabbinical Council and each meal is packaged to ensure freshness and kosher compliance. Every Friday Bebe's will offer family-sized grab and go meals and a variety of challahs perfect for the Shabbat table or a weekend dinner party or brunch. From roasted chicken to kugel, Bebe's Eatery is the only kosher grab and go in downtown Chicago. March also is National Caffeine Awareness Month and Bello Tea has a simple caffeine fact to share. Did you know that tea has far less caffeine than coffee? It's a great alternative and Bello Tea has many varieties with different levels of caffeine. Black tea, mate and matcha contain about 30% of the caffeine of coffee. During the month of March, any customer mentioning the promo code CFM 10, will receive 10% off their entire purchase. If you haven't tried EJ Sushi's Godzilla Roll ($12.95), Shrimp Tempura Roll ($7.50) or Volcano Roll ($7.95), you can enjoy complimentary samples from the chefs every Saturday during the month of March. EJ will be rotating samples each Saturday so stop by every weekend to try them all. 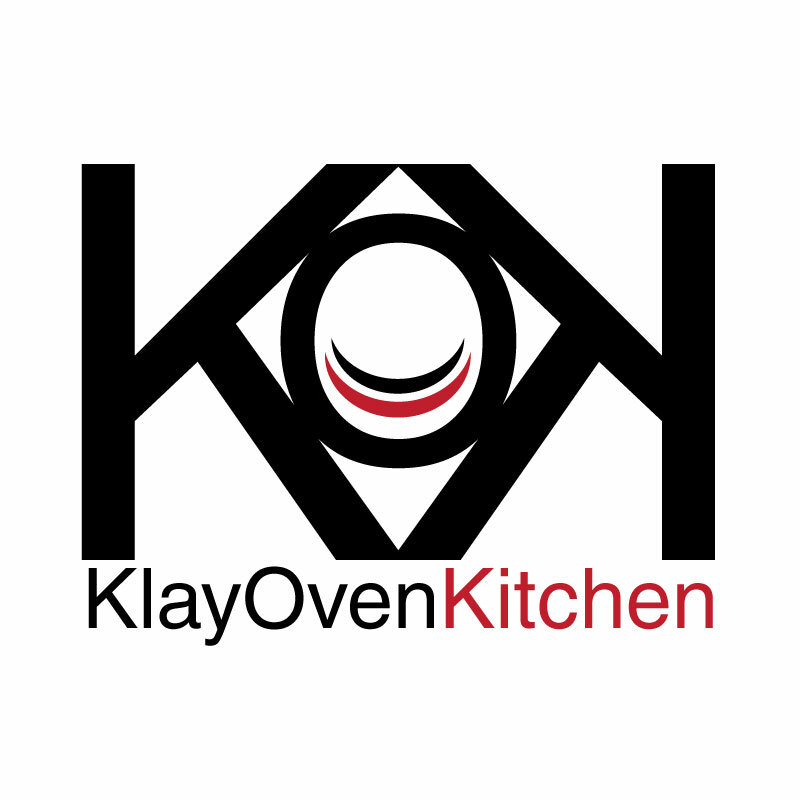 Celebrate St. Patrick's Day with Klay Oven Kitchen. During the entire month of March, the Indian food eatery will be featuring a very special entrée, Chicken Green Masala. The dish offers a boneless piece of chicken, simmered in fresh cilantro, mint and spinach sauce served with rice and Nan bread ($8.50). Lavazza Espression will be showcasing three beverages during March. Look to RAW's new beverage cooler this March for its new line of freshly pressed juice extract drinks ($10.50 each), served in a custom glass bottle. With the environment in mind, RAW will offer a $1 refund toward your next purchase upon the return of each bottle. Call RAW at (312) 831-2729 for a custom 3-day supply of juice to support your cleanse. With March comes March Madness and you don't want to watch the games on an empty stomach. 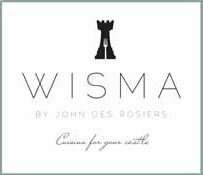 Wisma has your snacks covered with its Roasted Tomatillo Salsa ($6), Spicy Pasilla Pepper Dip ($6), Spinach and Mushroom Dip ($5), Goat Cheese and Pesto Dip ($5), Smoked Salmon and Caper Dip ($5) and a Grilled Olive Hummus ($4). Pair any of these with Wisma's Homemade Tortilla Chips ($5/bag).